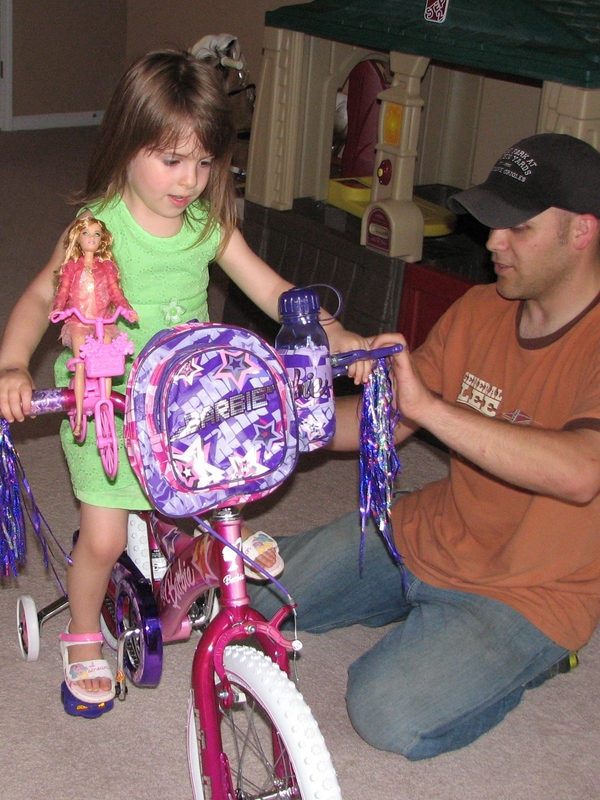 Bye-bye Barbie Bike, Hello Tiptoe Tall Ride | Are You Zhazha? Of course, the time was going to come. Signs were all around me every day (and continue to be). The questions they ask. The things they know. The inches they grow, marked with higher and higher marks on the wall. The ability to wash their hands at the kitchen sink or brush their teeth at the bathroom sink without a stool. Child car seats with only seat belts and not five-point harnesses. Bigger bicycles. For some sentimental reason, that last one recently did me in. 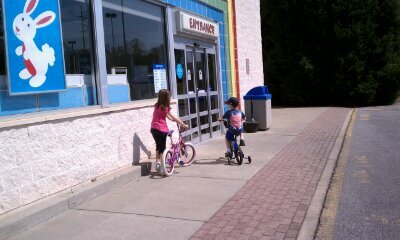 As I watched them push and ride their first two-wheel bikes to trade them in for bigger ones at the store, I couldn’t hold back the tears. Nia’s first bike was a rad Barbie one that had a place for Barbie to ride her bike, too. 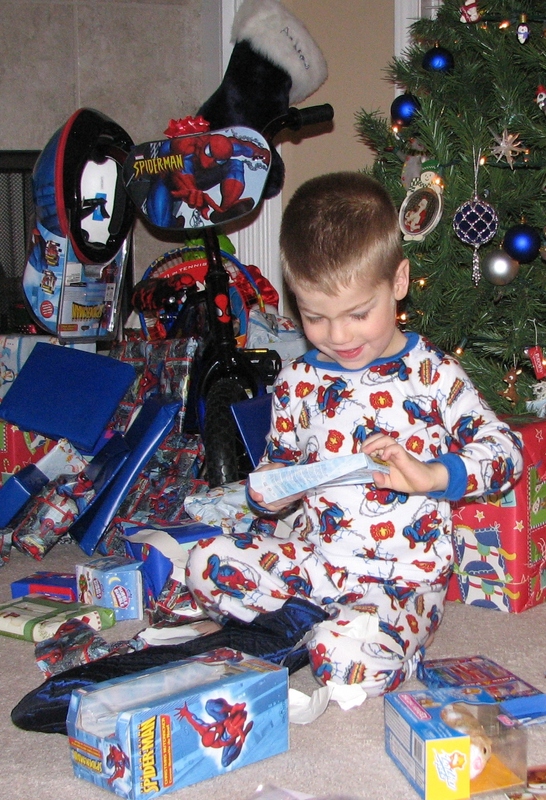 Nate’s was Spiderman all the way. As we steered the two pieces of childhood memories to customer service, I started to doubt our decision. “We could keep them and the new ones.” I tried to reason with Andrew. “That way, smaller cousins and friends will have bikes to ride when they visit.” We don’t have the physical space for a shopping aisle of bikes in our garage. The decision stood. Aside from being sad about saying goodbye to that time of growing up, I think I just didn’t like the thought of their childhood memories being recycled in a heap of scrap metal, instead of recycled and cherished by another child. The kids didn’t think twice about it the exchange though. They parked their old rides and immediately turned their backs and bee-lined for the new spokes. Their smiles helped me shake off the sadness. Especially when we got home and I watched as Nia worked with her daddy to build her bigger bike and then looked so not-little while she pedaled around the cul-de-sac. Growing up is good. Sniff.